Jarred joined our operations team as the Field Supervisor in 2017. He spent over a decade building and advocating for clean energy infrastructure before coming to SunCommon. 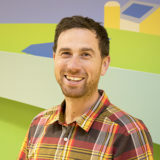 Most recently, he installed and designed renewable energy systems for ReVision Energy, a fellow B Corp in New Hampshire. Prior to that, Jarred ran his own construction outfit. After graduating from Boston and Brandeis University, he worked at Greenpeace for 5 years, serving as a climber and trainer in civil disobedience against dirty energy across the country. When not at work, Jarred enjoys hiking and running for long distances. He and his wife thru-hiked the Pacific Crest Trail in 2014. With their son and dog in tow, they enjoy exploring the wilderness of northern New England out of their home base of Montpelier.